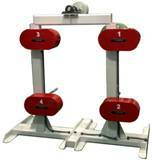 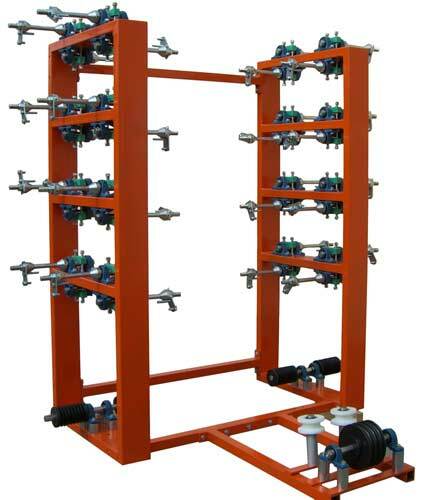 Tensioners for square and flat (profile) wire, single and multi-spool. 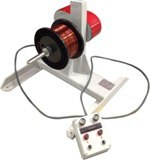 The multi-spool versions are normally used in applications that require a series of individual wires to be bought together as a bundle or packet prior to winding. 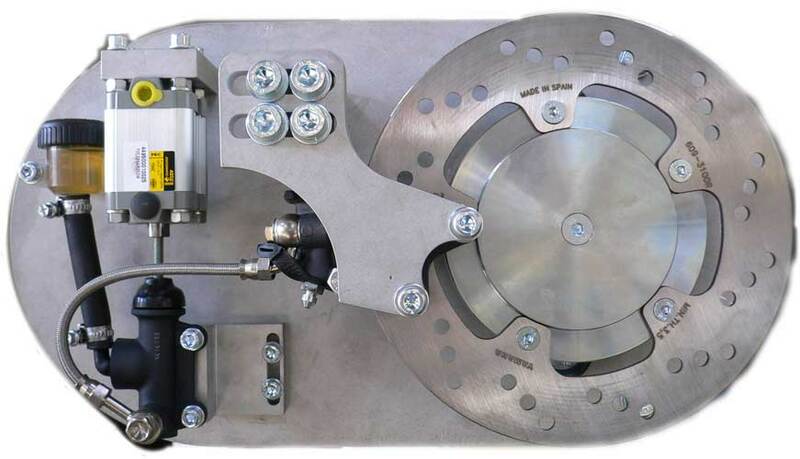 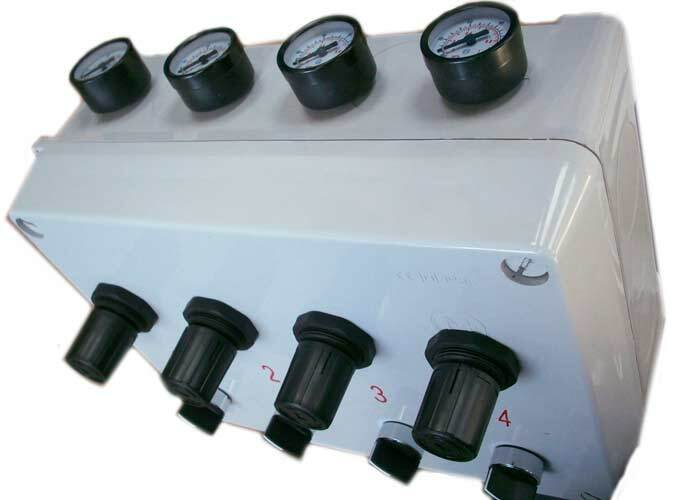 Each spool has a pneumatically controlled hydraulic disc braking system, and the control box is provided with pressure indicators and a wire tension release switch, which allows the wire to run freely for termination. 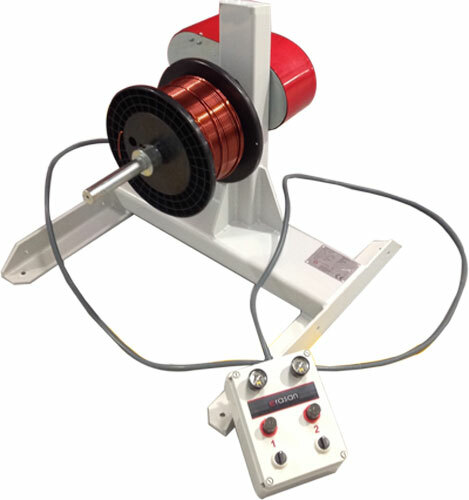 The control box can be postioned anywhere that is convient, for example, on the winding machine.